2016 is a crazy time to be alive right now if you're a video game fan or anyone interested in getting into the video game industry. Since much of video game development depends on hardware and software, technology advancement has always played a huge role in how the video game industry ebbs and flows, particularly in terms of what types of software can be developed. In years past, different spans of time (i.e. 2003-2008) have been categorized by the term "generation" which denotes the years different consoles and games were produced and developed. Usually these console "generations" have consisted of three of four major hardware and software companies developing a gaming console and supporting it with software for about 5 to 6 years before the next, usually more powerful console arrives. 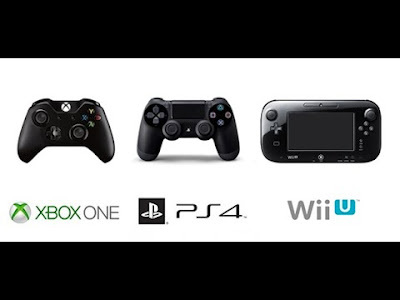 Most recently though, the industry finds itself in the 8th console generation with the main consoles consisting of Nintendo's Wii U, Sony's Playstation 4, and Microsoft's Xbox One. What makes this console generation so different than past ones is the fact that after only 3-4 years all three major companies are planning to either launch a new console (Nintendo) or a new "iteration"(Sony/Microsoft) of their current consoles with only minor tweaks made things like processing power, streaming capabilities, battery, etc. This is very unusual in the gaming industry and I believe there are a few main factors that have led to this interesting and worrisome development in the gaming industry. 1. Technology trends have changed, a lot.- Technology has changed so much since the previous 7th generation that many people who were only passive gamers and used their console for other things such as movies or streaming have gravitated to streaming devices like Chromecast, Apple TV, Fire TV, Roku, etc… These passive gamers have found their interest in games satisfied on smart devices, tablets or PC and therefore don't need to invest in any of the 8th generation devices. Another main way technology has changed is the progression to the point of being able to give consumers "relatively" affordable Virtual Reality (VR) possibilities. Whether or not this will catch on is yet to be seen, but this something that has definitely drawn away some gamers' interest in dedicated 8th generation consoles. 2. A rift has occurred in software development. - As home consoles have gotten better and faster, the cost for third party developers to program software goes up and up exponentially. Because the 7th generation had such a huge install base the software development companies invested tons of money into their R&D for 8th generation software hoping to make that money back plus so much more. But since the 8th generation has had a substantially less install base for all three major consoles, this has created a development rift, where software companies like EA or Ubisoft must develop an annual Call of Duty or Assassin's Creed(with continually diminishing quality) to break even on the cost of developing for these consoles or face major financial loss. This means mostly no new IPs from most software companies, a lot of lazy "HD" remasters for established software companies, and uninspired sequels with paywalls of DLC in almost every major home console release. This sounds depressing, and you might be thinking to yourself, where are all the new creative worlds, concepts, characters, and gameplay mechanics you ask? Well the answer is they've all gone indie. Indie developers can spend less for startup development and release their games on platforms like Steam or the App Store, or even virtual stores within in the console networks like Nintendo's virtual console, or Sony's Playstation Store with minimum hassle and escape the financial ruin that has become the sad story of many third party developers in the home console market. 3. The consoles were all underpowered at launch. - Anyone who is heavily invested in video games or software development in 2016 will tell you that all three major current generation consoles were woefully underpowered when they launched in 2012 (Wii U) and 2013 (Xbox One/Playstation 4). Though video game consoles have come a long way in what they can display in terms of graphics and frame rates, PC gaming had already hit those benchmarks years before any of these systems had come out. In earlier generations there used to be a chasm between the difficulty of setting up a gaming PC and the ongoing cost for upkeep versus the ease of a purchasing a home console. But now with technology moving at such a rapid rate and becoming more affordable than ever, even most standard PCs nowadays are capable of producing graphical and frame rate performances comparable and usually better than all current eight generation home consoles. All this to say, that in the past consoles have normally launched ahead of the curve in terms of power and performance, but in the eight generation this is not the case and Sony and Microsoft are playing catchup. 4. The Wii U is a commercial failure. - This has to be its own point in the conversation of the eight generation consoles, because even despite how much I love the Wii U and personally think its a better console than the original Wii, no one can deny the fact that it has been a huge commercial failure for Nintendo. Whether you like Nintendo or not, they're a huge tentpole in the gaming industry and their actions and reactions tend to be one of the factors that shapes the way the gaming industry evolves. They innovated and stunned with the original NES, the developed the standard layout for most controllers with a d-pad, they pioneered motion controls and shifted Sony and Microsoft to do the same; the list can go on and on. The point is, Nintendo has some weight to throw around the industry, and the fact that the Wii U failed forced them into a corner to develop something new with codename NX (their next console system). This news of Nintendo releasing a new console that would innovate and possibly be more powerful than their current console offerings may have given Sony and Microsoft another strong reason to pursue developing their "new" consoles, the Xbox One Scorpio and the Playstation 4 Neo which will be released next year in 2017 to compete with the NX. So with all these major points currently at play, it's very interesting to try and speculate what the future of video games will be in a couple years. Will VR catch on and we'll all be playing video games with dedicated goggle headsets and motion controllers? Or will Nintendo's almost confirmed home console hybrid, the NX, take the the world by storm and show us we can have a true console experience in our pocket and then bring it home to our living room? Or will a majority of gamers switch over to PC's and force many of the dedicated console third party software development companies to follow? I truly don't know, and your guess is as good as mine. Like I said earlier "2016 is a crazy time to be alive if you're a video game fan".